MF WARS: Wargaming Wednesday - Pride of Lions, Mighty Armies, & Fantasy Rules! Wargaming Wednesday - Pride of Lions, Mighty Armies, & Fantasy Rules! Recent Facebook discussions had me taking a look at a few systems for Fantasy Wargaming earlier this week and I thought I would just share them here. I have not played any of them but they have piqued my interest enough to make me want to give them a try someday. Chronologically in reverse, the first is Pride of Lions (2010?). 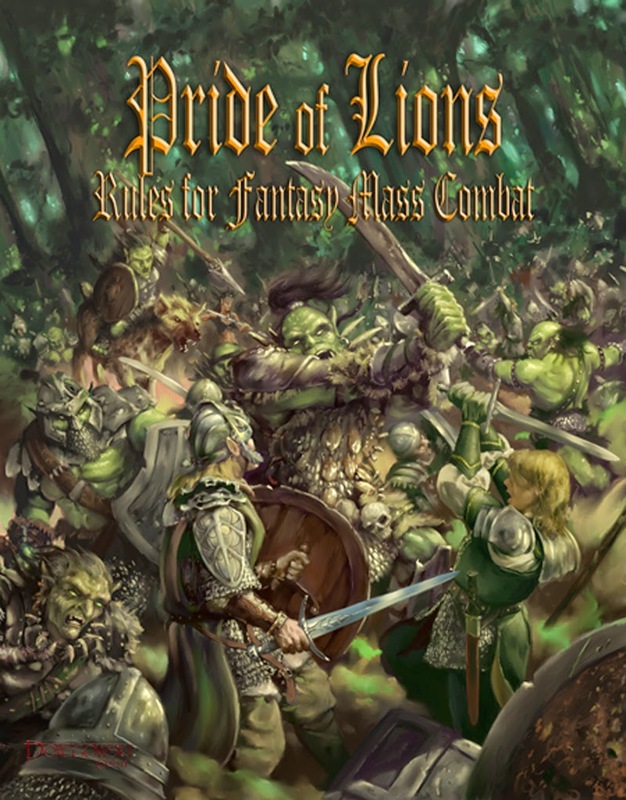 "Pride of Lions is a new set of fantasy mass battle rules just released. It is scaled for 15mm miniatures but could probably be played with 28mm too. POL is done by Splintered Light Miniatures, and from what I can tell the army lists can reflect their unique collection of products. I have not picked them up yet, but will down the road." It doesn't have a Board Game Geek entry set up for it but there is a discussion worth viewing on their forums here. In some ways, this appears to have been developed in answer to some of the perceived failings of other systems available, like those mentioned below. I leave it to others to make their own case since, as said, I have not played these yet. It is available as a $20 PDF (seems steep) here. Also, Mighty Armies (2004) is a system from Mongoose Publishing that was "A new concept in miniatures gaming, Mighty Armies gives you a complete army, rulebook, dice, reference card and measuring aid in a single box, for an all new low price. 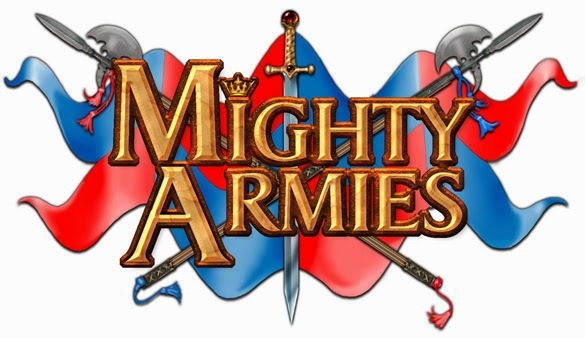 Mighty Armies is a game that is quick to learn and yet takes real skill to master. With armies for 40-60 miniatures (readily expanded by a supplemental range of blister packs that provide some very special troops), fantasy generals can complete battle in 20-30 minutes, making this a perfect game for club or tournament play." You'll need to cast about for a copy of this though I'd imagine some larger gamestores might have one left in stock. Finally, Fantasy Rules! 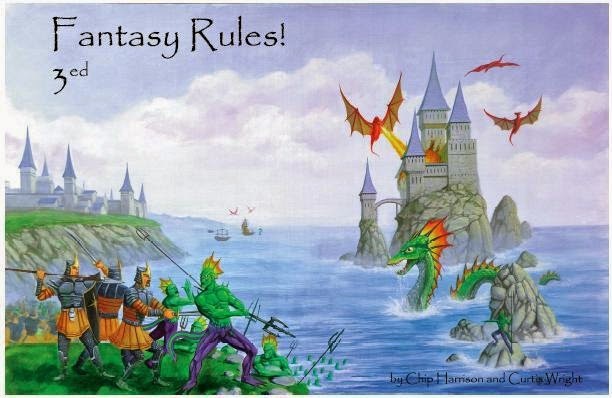 (1996) is now in its third edition and "lets you game in the worlds of fantasy and mythology with rules that are easy, flexible, innovative, fast, and fun. Fantasy Rules! may be played with any figures currently in your collection and playing time is around one hour for typical armies. Armies are generally made up of 30 to 50 figures. Characters are included in the system, but are not so powerful as to overly influence and unbalance the outcome of the game." What I have read on forums seem to run counter to this blurb in that games take those in the discussions quite a bit longer and several mention single figures, particularly magic wielders, using stands of combat troops as target practice if not held in check by their foes. It can be found also in PDF for about $20 here.